maybe there's a chance to loosen the beasty bearing with an angle screw driver? I can't find acceptable pics of the 3.0 brakes inside, but a simulation will do for explaining, I hope. Perhaps you can get the bearing this way off the axle? Would it be possible to place such a tool below the bearing on several positions? 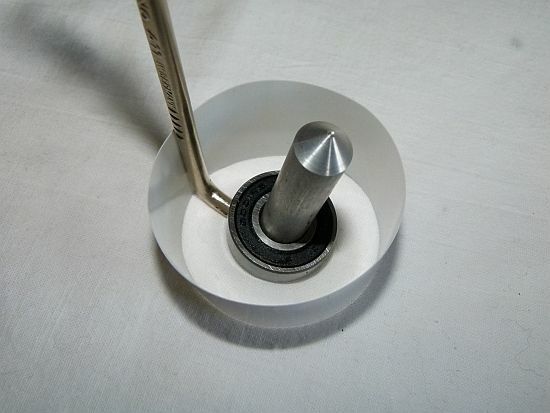 With a bit luck can a flat tip srew driver be used as a lever. This week I will try to apply some rust treatment solution. After that I will try again to remove the bearing. The strange thing is that when I remove both wheels (rear and front), one bearing (magnet side) remains on the wheel, the other remains stuck in the middle of the axle brake. 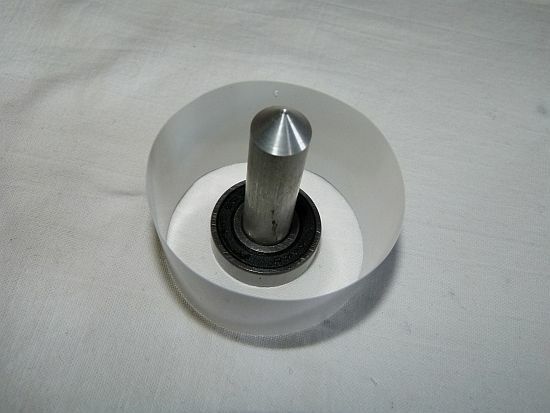 The wheels are plastic version and probably the bearing spacer is not present as it is replaced by a groove inside the plastic rim that allows the bearing to remain motionless and pressed on the wheel / hub. Another test I've done is to remove the bearing (the one that stays on the wheel) and push it (by hands) on the axle. But it can not slide on the axle and stops shortly after. I'm missing just one thing. Can you tell me what is the bearing spacer usefull for? It is fixed inside the hub? Or it is fixed on the axle and the wheel bearing pass through on it? I also believe (as you said) that the bearings have to be stuck on the hub and not on the axle. As a final test I will use a bearing external puller and hope it will work. Maybe we should start a new thread with your specific problem...and some pics? AxeStrida wrote: Can you tell me what is the bearing spacer usefull for? (from here: Rear wheel bearings for Strida?) 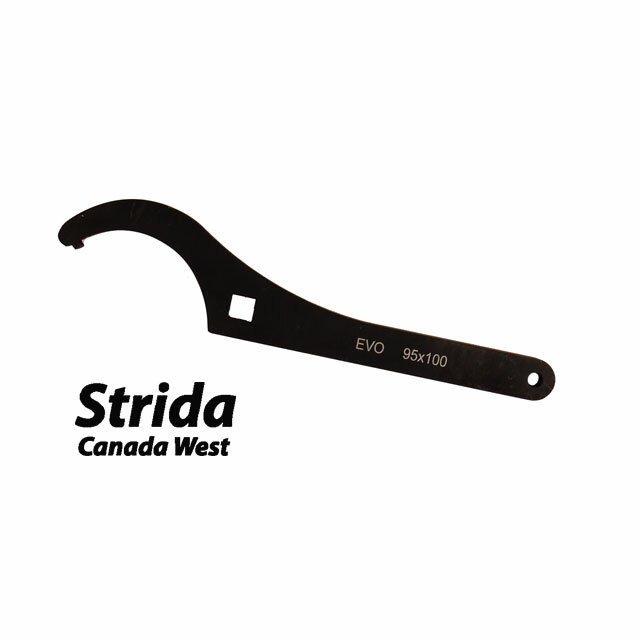 and then start right from the beginning, referring to the parts drawing of the Strida 3 and the old part numbers. - Note: The small washer 376 (between magnet and bearing) does have a crucial function. By creating a distance (= the washers thickness) it prevents the magnet of touching the outer bearing ring. The outer diameter of this washer has to be equal or smaller than that of the inner bearing ring. - Note also: Once you tighten the wheel bolt 375 you'll create a force in the bolt's thread and another one in the opposite direction. This force in turn will produce pressure to the washers 165 and 376, the magnet 236, again washer 376 and finally - directly to the inner ring of the first bearing! And the travel of the pressure force should not be over at this point, usually it would be transferred along through the 237 (or 337 at the rear wheel) spacer and then the inner ring of the second bearing. 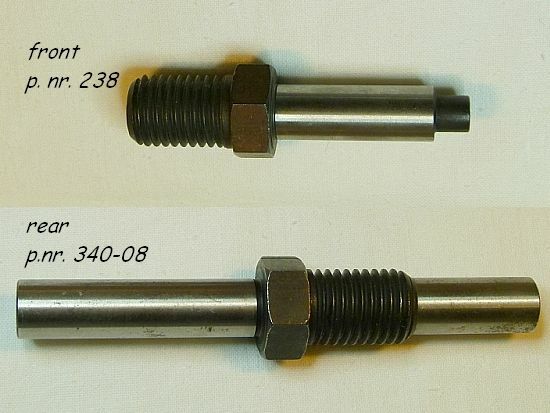 Finally you will find a special area of the axle, close to the hex nut. This area is the counterpart for the second inner bearing ring, it's diameter is smaller (or equal) than that of the inner bearing ring. just a few tenth's of a mm - that's it! Skipping the spacer would mean to create very high axial stress to the radial bearing - it would die very soon! AxeStrida wrote: It is fixed inside the hub? Not really fixed, usually it's just more or less clamped between the two inner bearing rings. Had also original wheels where it was slightly moving inside the hub. AxeStrida wrote: Or it is fixed on the axle and the wheel bearing pass through on it? No, inner diameter of spacer is slightly bigger than the axle d., spacer's outer diameter similar to inner bearing ring. Even more confused or better now? 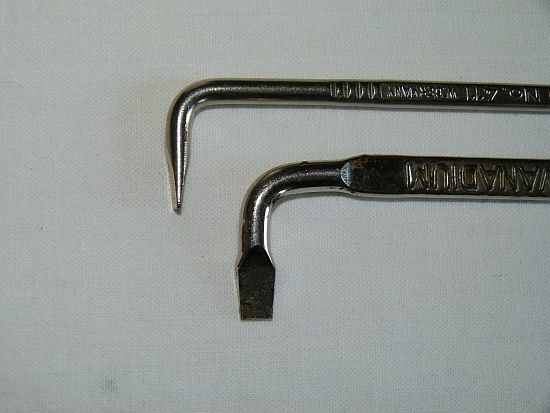 This key was equipped with a square hole which is intended for connecting to a torque wrench. Please note that he recommended torque of 50-60 Nm (according to the KS3 manual) MUST NOT be equal to that which you have to adjust at your torque wrench! That's because the square hole is not located in the center of the key; due to the distance the torque must be corrected. As soon we've figured out the exact distance we'll edit the correct torque amount for this particular key. I'm located in the Europe and to find some of the tools at an affordable prize wasn't so easy. Especially the freewheel remover I found too expensive for what it actually is, a piece of cast metal. Prices ranged from €20 to €40, way more than I wanted to pay for such basic thing. Finally, I found a seller on eBay who sold it for GBP 4.99 + shipping from the UK. I received a freewheel remover from the Raleigh brand. And it did the job, the fit wasn't that tight maybe as that of other brands and I had to give it the key a slight hit with a wooden hammer to get it to turn but overall it worked well. Yes it does make sense to compare, the tool prices vary a lot.